The Municipal Stadium of Veria often just referred to as The Veria Stadium is a multi-purpose sports arena located in the northern Greek city of Veria. Dating back to 1925, the 7,000 capacity ground was last renovated back in 2013. If any Greek Football Trippers happen to have a stadium map or seating plan of Municipal Veria which we can use on this site then please send us a message – it would be much appreciated. 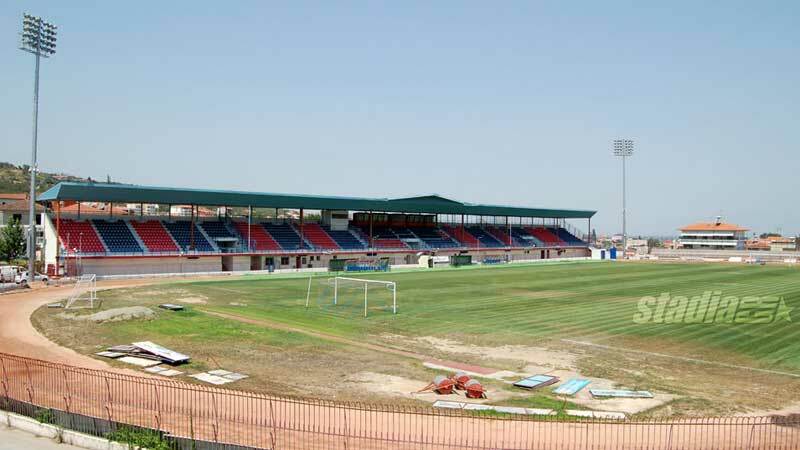 Municipal Veria Stadium is comprised of four stands: North, East, South and West. If we had to guess we would say that away fans are housed within that little stand in the south-east corner however we’re far from certain. If any Football Trippers know any different then please let us know! We can’t find any information pertaining to a PAE Veria club shop either at the stadium, within the city or even online. 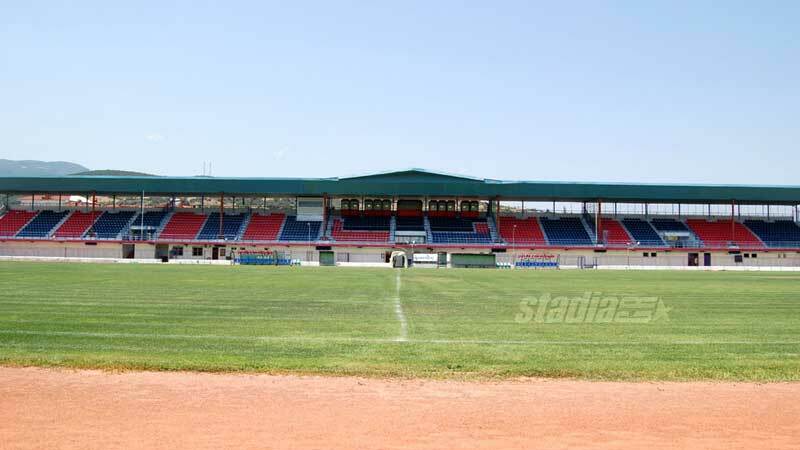 No tours are publicly advertised for Municipal Veria Stadium so they probably aren’t available. We doubt this is something which will ever change either. Tickets to see PAE Veria play at home can be purchased on matchdays before kick-off when the ticket booths open for business. The sale of online tickets hasn’t really caught on across Greece just yet. 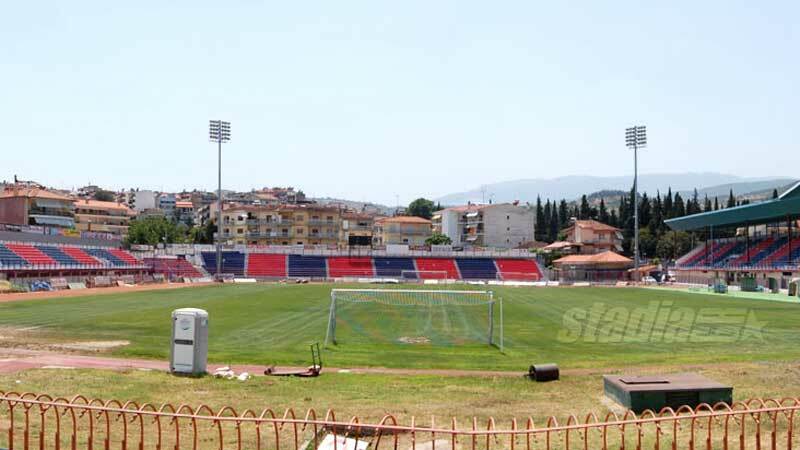 The Municipal Stadium is located 2.0 km north of Veria’s city centre – or at least 2.0 km from the point where Google Maps defines as the most central point of the municipality. As a result it is easily walkable for most Football Trippers in anywhere between 15-25 minutes depending on their walking pace. 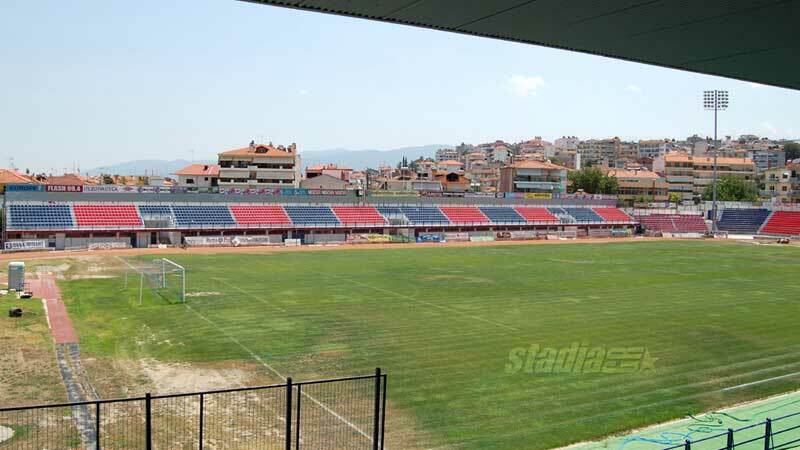 Surrounded by houses space is at a premium at Veria’s municipal stadium and thus there’s no on-site parking available. Βέροια or Veria Railway Station is located less than 1.5 km north-east of the municipal stadium. It’s out of town location is actually a positive for those coming out of town to watch the football. The closest major airport to Veria is Kozani National Airport Filippos which is 60 km or so south-west of the city centre. Alternatively you can fly out of Thessaloniki Airport which is further away (103 km) but connected via rail. For those on a budget you can’t really beat either the Kokkino Spiti or the Makedonia Hotel which are both 3 stars and moderately priced. You’re unlikely to find anything cheaper than this in the city with two of the more premium options being Aiges Melathron and Veritas Boutique Art Hotel.